Cooking doesn’t come naturally to everyone, but luckily it’s a skill that you can learn. 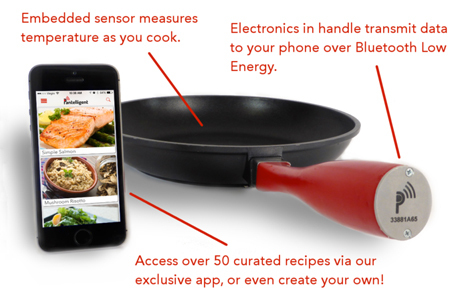 A high-tech pan – the first of its kind – is ready to make you into an expert home chef. 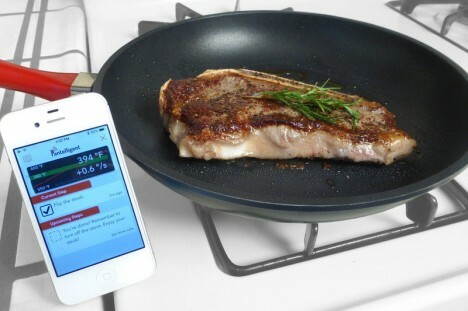 The smart frying pan is called Pantelligent, and other than its built-in sensors and Bluetooth connectivity to an associated app, it cooks just like any other frying pan. No matter what you’re cooking, the Pantelligent keeps track of the cooking temperature so you never have to guess when your food is cooked. The normal methods of checking doneness – cutting the meat open to check the color and using a meat thermometer – are unreliable and too much of a pain, respectively. 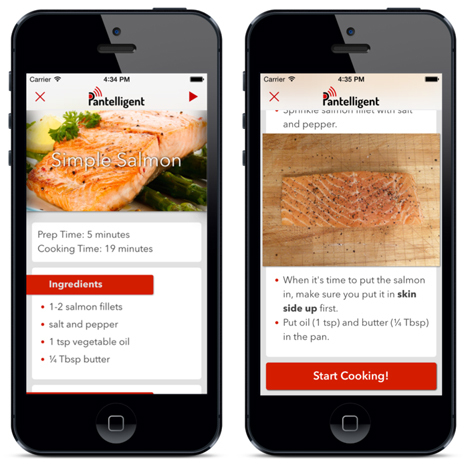 The Pantelligent app comes with a built-in cookbook that includes lots of recipes as well as tips on buying and prepping the food before cooking. It leaves no room for interpretation or mistakes as it guides you step-by-step through every detail of cooking your own homemade meal. It tells you when to flip or stir the food, when you need to add ingredients, and when the food is done. The smart pan doesn’t limit you to its pre-loaded recipes, however. When Mom is visiting and teaches you how to make one of your favorite dishes, the Pantelligent app can be set to “record” mode. In this mode, the pan and the app record the temperatures and steps you take during the course of cooking the meal so you can replicate it whenever you want. The creators of the Pantelligent are funding their venture on Kickstarter and have already raised more than their initial financial goal. They have high hopes for their creation, predicting that it can even help relieve tension in some relationships where one partner usually does all of the cooking. The retail price of $249 might cause a little tension of its own, though.